Looking for a chic and easy gift that is sure to please most anyone on your list? Searching for the perfect wine that pairs well with each course of your holiday meal? Need to stock up for all those holiday parties and stocking stuffers? As we all know, the Holidays, and especially New Year's Eve, is prime time for champagne and we have the perfect solution for all your readers' holiday needs! From Holiday meals to gifts, Le Grand Courtâge is a versatile and affordable option this holiday season! Their gold-medal winning French sparkling wine that can be found on Virgin America Airlines, in Mandalay Bay's Delano Hotel Mini Bars, at Whole Foods and Cost Plus World Market, and coming soon to Omni Hotel properties across the country. 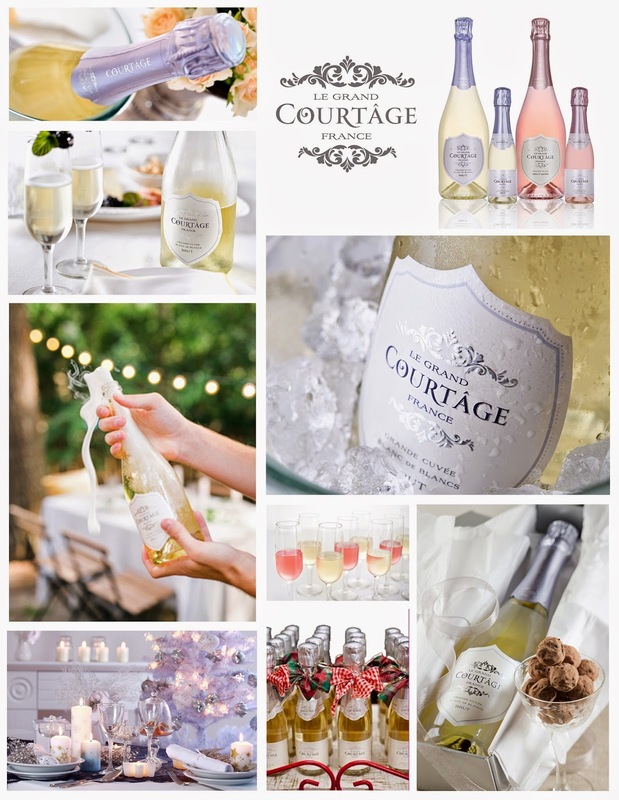 Le Grand Courtâge is en route to becoming the go-to French bubbly under $20! The beautiful bottle offers an exceptional value and our dry, crisp, yet fruit forward flavor profile is sure to please the palate. I love the smaller 187ml bottles - they are so cute and perfect to fit in any stocking! And the 750ml bottles are perfect for celebrating family and friends at Christmas dinner or New Year's Eve! Le Grand Courtâge wines are cuisine and cocktail-friendly, offering French elegance, American appeal and affordable pricing!